You are able to set your default gallery path in NextGEN Gallery via Gallery > Other Options > Image Options. This is important as it is part of the path used when importing images into NextGEN Gallery. The default path is `/wp-content/gallery/` which means that any imported images will go into a folder that will be created underneath the `gallery` folder. 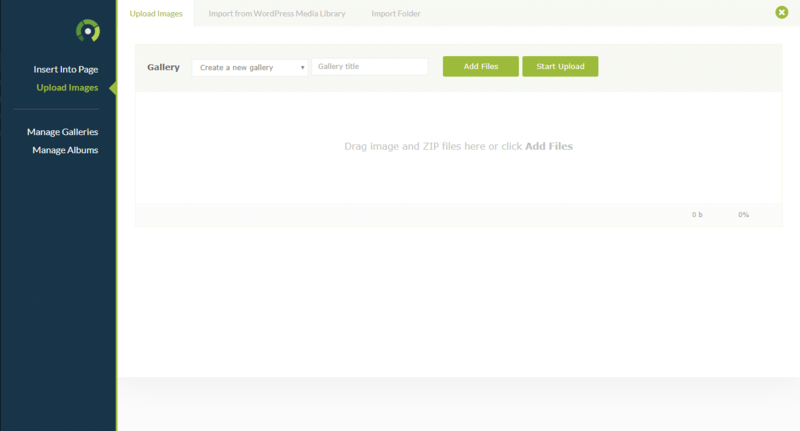 NextGEN Gallery can only import folders under the '/wp-content/... directory. All images imported are copied from the original folder into a new gallery folder as noted above. 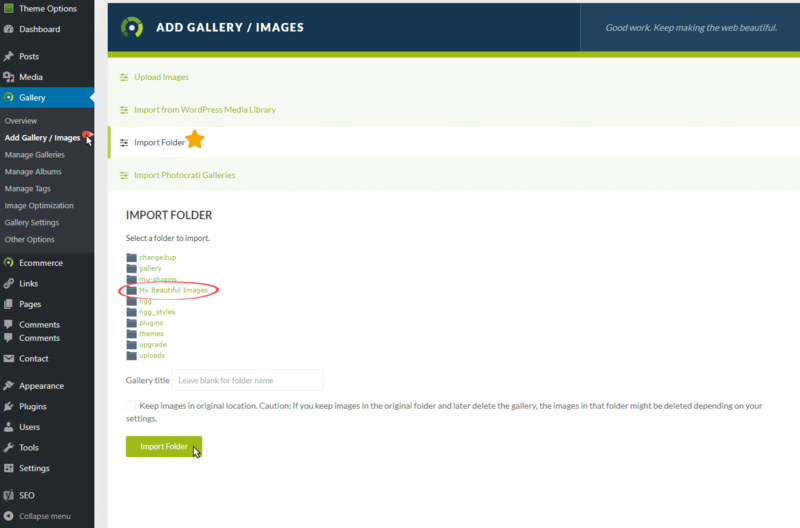 This is important if you want to use a FTP (File Transfer Protocol) client to add more images to that gallery folder to later be “scanned” into the gallery via the Gallery > Manage Galleries … (choose the gallery to modify) … select the 'Gallery settings' tab and click on 'Scan folder for new images' button. You have a folder on your server that is located on the same level as the `/wp-content/` folder and you want to import its images. For security reasons you can no longer import from folders found outside of the `/wp-content/` folder. Using FTP you would need to move this folder to the `/wp-content/’ folder and give it a name, i.e. `my-beautiful-images`; you can now navigate to this folder via Gallery > Add Gallery / Images … click on the 'Import Folder' tab. This will open the panel and show all folders found under `/wp-content/` … navigate to the folder you wish to import and click the <Import Folder> tab. Select your gallery to import from the list of folders. 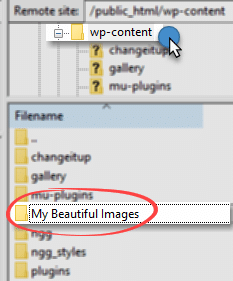 Using our example folder name from above and the default gallery path, it will create a new gallery folder under `/wp-content/gallery/my-beautiful-images/` on our server. Your gallery will be available to edit under Gallery > Manage Galleries. If you want to add more images to this gallery, you can simply use the Insert Gallery Window ('Add Gallery' button) Insert into Page > Upload Images and choose this gallery from the drop-down menu and add the image files like any other standard upload with NextGEN Gallery.